I’ve been thinking about the wise old grandmother turkey I met recently, a grey and elegant crone named Chincha who lives on my friend’s farm. She is eleven years old, and mostly blind. She is friendly, though the other birds pick on her, because even with her still formidable size, she has grown weak with age, shrunken. Does Chincha know that the number one predator of her species is us? I never had met a turkey I liked and respected – though I suppose that really I had just never been properly introduced to any turkeys before. Will I still eat them? Yes, I think so – but I will be thinking of her bright black inquisitive gaze, and wondering if the bird on my plate had such spirit. I am a dedicated carnivore, but I do think about the creatures I consume – and I don’t know if that makes it better or worse. Both, I guess. I’m grateful for their gifts. Before this week, I don’t think I’d ever known anything about the The Occupation of Alcatraz by Native Americans, or about Unthanksgiving Day (also known as The Indigenous Peoples Sunrise Ceremony), an event still held on the island of Alcatraz to honor the indigenous peoples of the Americas and promote their rights. This coincides with a similar protest, the National Day of Mourning, which began in Massachusetts. If Chincha were a human, I like to think she would look like this woman. 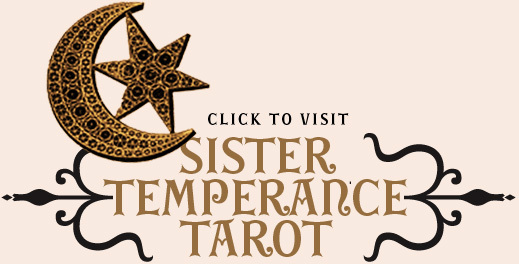 Also, I highly recommend reading this today: IT’S DECORATIVE GOURD SEASON, MOTHERFUCKERS. Much of what I wanted to share here began on a Thanksgiving a few years ago, trying to explain my love for eerie, slightly barren landscapes, and the art and films that take them as themes. Hungry outsiders lost in golden fields, haunting big white farmhouses, making bad decisions. I can’t leave any of that alone, it seems, so here it is again – expanded upon. Andrew Wyeth, Terence Malick, Philip Ridley, and now, Andrea Krowch – all making this art about a specifically American place and feeling – and it’s not entirely a good place or feeling. They all go there, though, again and again – wandering around between the rows, under that big horrible sky. Andrew Wyeth. Christina’s World. 1948. 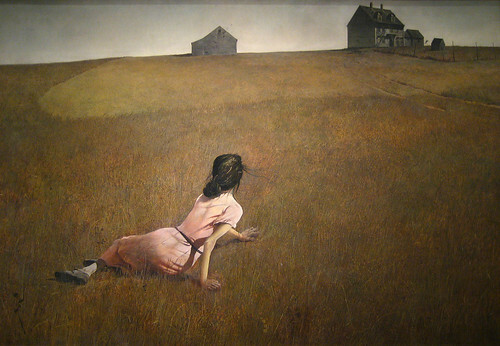 The woman crawling through the tawny grass was the artist’s neighbor in Maine, who, crippled by polio, “was limited physically but by no means spiritually.” Wyeth further explained, “The challenge to me was to do justice to her extraordinary conquest of a life which most people would consider hopeless.” He recorded the arid landscape, rural house, and shacks with great detail, painting minute blades of grass, individual strands of hair, and nuances of light and shadow. In this style of painting, known as magic realism, everyday scenes are imbued with poetic mystery. Badlands is one of my top ten favorite films ever. I love Terence Malick so much. Oh Sissy. I love her because she’s brilliant, and I love her because she reminds me so much of my mom. In this still, she makes me think of Jeliza Rose, below – beautiful and precocious innocents dazzled by a strange and dangerous new world. Tideland is reviled by many as being a pointless exercise in depravity by Terry Gilliam, but I loved it immensely. It is disturbing, and often uncomfortable to watch, but it is also beautiful and powerful. Most of my favorite films are a combination of both (see The Reflecting Skin, below). “Like an irrational but beautiful dream, The Reflecting Skin unfolds with a clarity that’s disturbing. It’s a true American Gothic, a movie in which breathtakingly blue skies and Van Gogh-gold wheat fields are unlikely witnesses to the horrors confronting eight-year-old Seth Dove. For Seth, the world of childhood is one of nightmares in broad daylight: his friends are being senselessly murdered, his tormented father incinerates himself before his eyes, his half-crazy mother abuses him, his beloved brother returning from World War II is mysteriously wasting away, and the strange woman living next door must be a vampire. Even with its obvious flaws, however, there’s something oddly compelling about this weird, weird movie. The Reflecting Skin may befuddle you by what it’s all about, but like a vivid dream, you’ll have a difficult time forgetting it. I honestly can’t remember where this is from. Or this. But here they are. Happy Thanksgiving. Thank you. There’s so much here to explore, and I thank you for that! Also, you put into words a lot of what I’ve been feeling about this holiday. Yes to all this, and I’ve been coveting the ‘It’s Decorative Gourd Season, Motherfuckers’ coffee mug. Wow, Finally someone else who feels the same way I do about eerie, desolate, barren landscapes and grey skies. As I was reading this post I was trying to remember the name of a movie that is part of this and saw it as I read further-Tideland. I did a paper in Art History on de Chirico that had the same feeling with deserted, melancholy and foreboding. It’s all part of this deeper darker, beautifully lonely feeling.